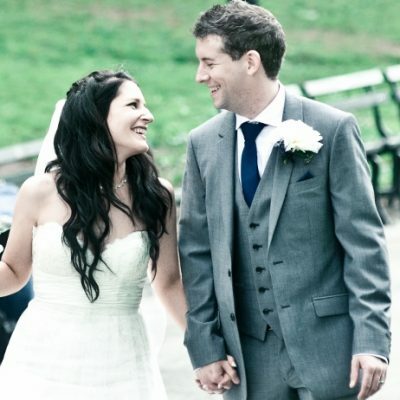 Marilyn and Steven drove up from Florida to New York City, hoping for snow at their winter Central Park wedding. Instead they got a crisp, clear 50-degree day in the middle of March! 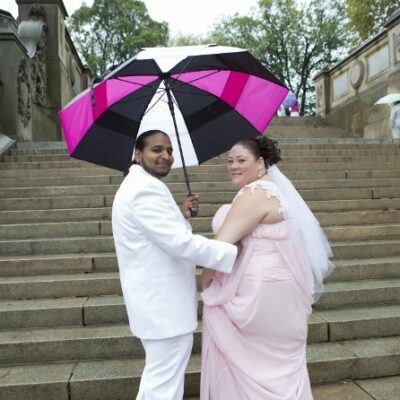 Their wedding ceremony was held at Belvedere Castle Terrace, where they shared their vows overlooking Turtle Pond. 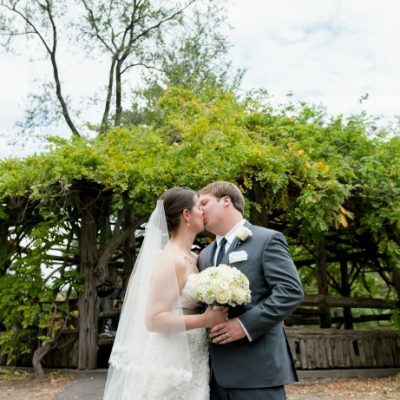 The bridal bouquet included green mini hydrangeas, to complement the beautiful peridot color of Marilyn’s engagement ring. After the ceremony, we took a stroll through the park, stopping at different locations to take portraits. Photographer Angela Gaspar documented the day.